(Tech Xplore)—Business watchers are looking to blockchain technology as transformational but easier said than done. Penny Crosman in American Banker on Thursday said, "The vendor that can provide distributed ledger that's enterprise-ready will have many deep-pocketed companies beating a path to its door." Looks like Microsoft is doing its bit in efforts to make blockchains enterprise-suitable. The company posted a video, "Introducing the Coco Framework," on Thursday. First off, why is it called the Coco Framework? American Banker said Coco stands for confidential consortium, and it will be posted to Github as an open source project in early 2018. Mark Russinovich, chief technology officer for Microsoft Azure, did the introductions in the video and he provided the quick-stick explanation of what this is all about: "The foundation of blockchain for business." The idea is for businesses to implement blockchain technologies as part of their business processes. The Coco Framework by design will be compatible with any ledger protocol and can operate in the cloud and on premises, on any operating system and hypervisor that supports a compatible TEE, said the company news release. TEE stands for trusted execution environments. 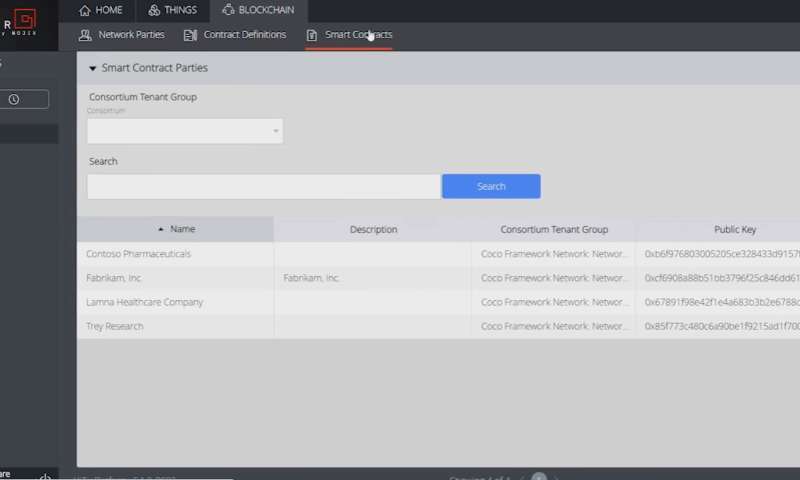 Tom Krazit, GeekWire's cloud and enterprise editor, said Coco Framework "aims to help companies use blockchain ledger technologies to facilitate transactions between customers, suppliers, or anyone with whom they do business." Blockchain is the underlying technology behind the Bitcoin digital currency, wrote Krazit, but with other potential uses of interest to technologists and venture capitalists. "It allows users to keep a record of transactions (or really anything that transpires between different entities) in a secure, decentralized 'ledger.'" "Existing systems were designed to function—and to achieve consensus—in public scenarios amongst anonymous, untrusted actors with maximum transparency," said Russinovich in an Azure post on Thursday. A ledger framework leverages "a combination of trusted execution environments, advanced cryptography and innovative blockchain-focused consensus mechanisms to open up new blockchain enabled scenarios across industries," said the video notes. Also, Coco Framework, when integrated with blockchain networks, addresses high-transaction speeds. Some businesses are such that they cannot tolerate delays. Banks and other large businesses are concerned about transactions per second. A release from the Microsoft news center said that "When integrated with a blockchain network, key benefits of the Coco Framework include transaction speeds of more than 1,600 transactions per second." Interestingly, the company also said the framework also involves "A comprehensive, industry-first distributed governance model for blockchain networks that establishes a network constitution and allows members to vote on all terms and conditions governing the consortium and the blockchain software system." Implementation within an established corporate technology infrastructure—this is what Microsoft is hoping to solve with its approach. Russinovich wrote in his post that, "while it will still take time for blockchain to achieve enterprise assurance, we remain laser focused on accelerating its development and enterprise adoption in partnership with the community." Anyone wanting more details on Coco Framework can visit the Microsoft Azure blog post from Russinovich, where he provided a link to their technical white paper.